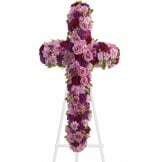 The Divine Light Cross will send your message of hope for eternal serenity is delivered ever so elegantly. 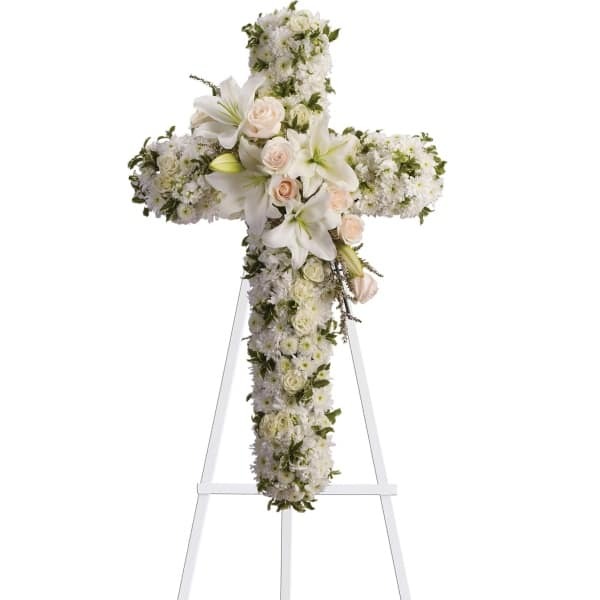 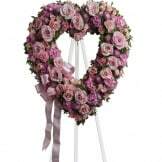 This graceful standing cross is a beautiful way to honor a loved one. 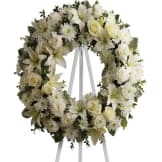 • Crème roses, white spray roses, oriental lilies, stock, leptosporum, cushion and button spray chrysanthemums create a cross. 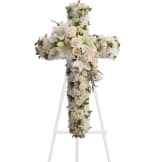 • This arrangement measures approximately 22 1/2" W X 30" H.
Ordering was easy, delivery was fast, and the arrangement was perfect.